FitBark is small waterproof activity and sleep tracker for dogs. Many of us are used to tracking our own activity with an ever-increasing range of trackers from Fitbit, Garmin etc. as well as step-counters that are native on most smartphones. I already use an Apple Watch myself so I’m used to keeping any eye on my own activity levels and subscribe to the view that you can’t manage what you can’t measure. 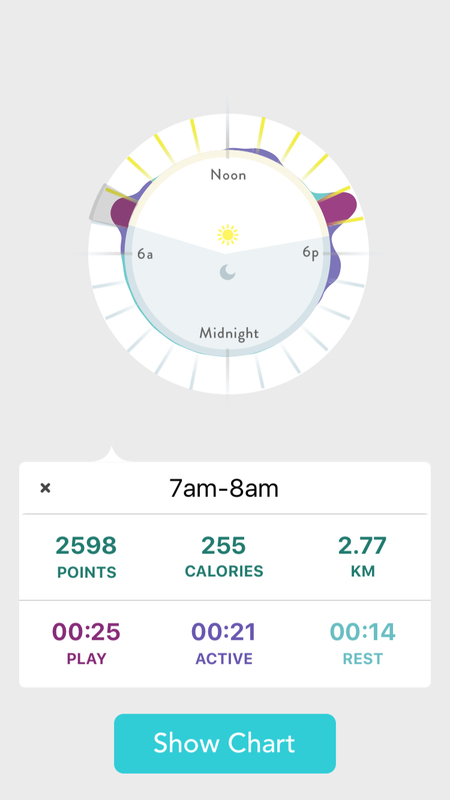 Whilst I dont quite walk round the block a few times just to get my points at the end of the day, I do enjoy the stats, and find the gentle ‘nudge’ of achieving daily targets helps encourage me to be more active in general. 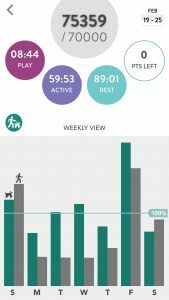 FitBark allows you to monitor your dogs activity and sleep patterns giving you greater insight into their behaviour and well-being. Available in a range of colours, on arrival I was surprised at just how small the FitBark unit is. Looking a little like a bone-shaped treat it weighs only 8g and measures around 5cm x 2cm x1cm. There are no buttons, just a micro-usb charging port on the rear, protected by a rubber cover. A couple of internal LED’s light up when the unit is being charged. Battery life is claimed to be up to 14 days day which fits with my own experience. The FitBark app has a battery-charge indicator and an email alert reminds you when you it needs a charge. 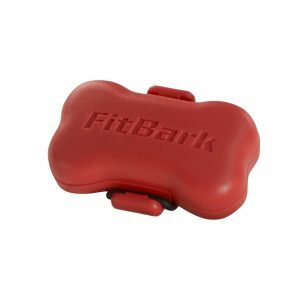 The Fitbark device fits onto the collar with a rubber O-ring that fastens around small tabs on each side of the unit and fits collars up to a width of about 1 inch. Spare O-rings are included in the box. You need to download the FitBark app, register for an account and then follow the on-screen instructions to pair the Fitbark with your phone. Syncing is via Bluetooth 4.0, though there is also an optional wi-fi-enabled base station to allow you to monitor your dog remotely. One thing to note is that you can pair more than one phone to a single FitBark, with either being used to sync activity. You can also register more than one FitBark unit to a phone if you’ve more than one canine buddy. Humans have a pretty limited and consistent range of movement, hence counting steps is a simply measure for us bipeds though some apps have developed their own metrics to measure a broader assessment of overall human activity, for example Nike’s Fuel points. 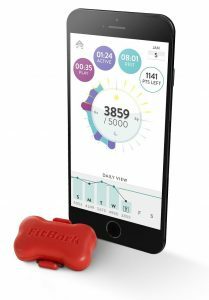 FitBark uses Barkpoints as a measure of all-round activity, measuring activity from its 3-D accelerometer and categorising it into Play (high), Active (medium) and Rest (low) levels according to the intensity of activity per 5 -minute intervals. 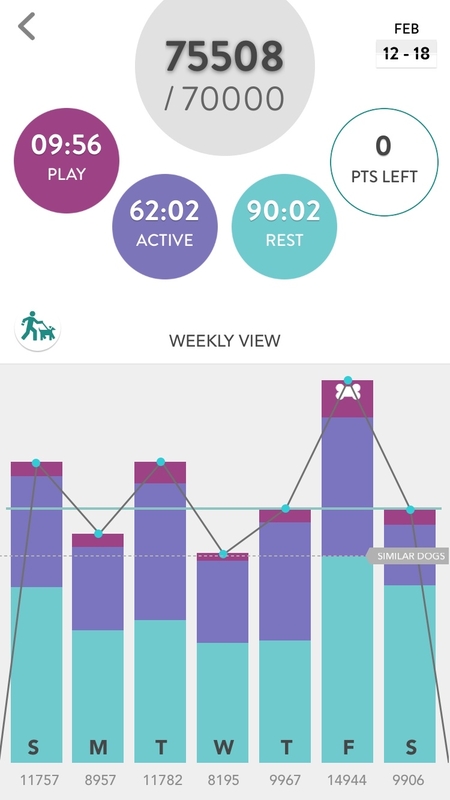 On their website FitBark provide several insights into how activity is measured and how the information can be used. I’m normally rather critical of the user-interface of apps (Apple’s Health app being a prime example). Not so with FitBark – the headline dashboard provides a simple but clear visual indication of hour-by-hour activity across the day. You can also select a specific hour to see a more detailed summary of that hour and then view a chart showing an even more detailed record of each 5 minute period. 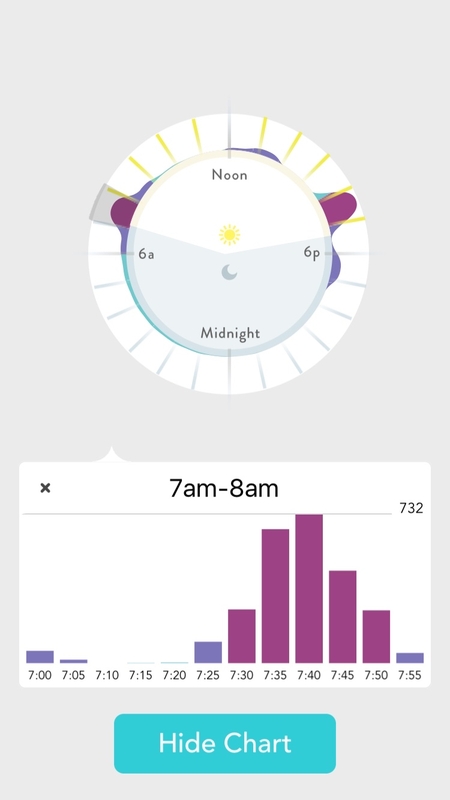 Clicking on an individual hour on the display opens up a detailed view for the particular hour. You can then view a chart showing activity breakdown for each 5 minute period. We use this to check how quickly Rosie settles when she’s left alone. As well as viewing day-by-day you can view a weekly summary. The app includes a ‘Journal’ feature allowing you to add your own note and comments. You also receive hints and tips from FitBark, as well as achievement messages. You can also use the Journal feature to chat with FitBark customer support if you have any questions. Journal messages are also shared between owners. 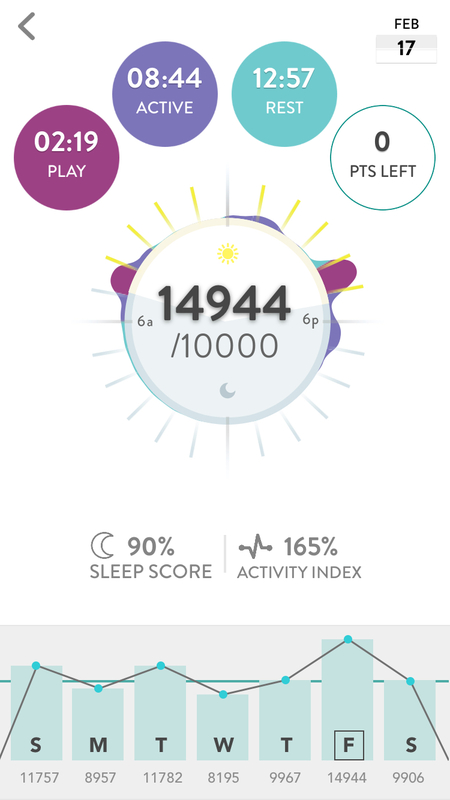 Health Index % – currently a ‘beta’ feature this use an algorithm that uses the activity and sleep data trend , as well as comparison against similar dogs to provide an overall health index figure. Lower activity and poor sleep could indicate your pooch is not so well. 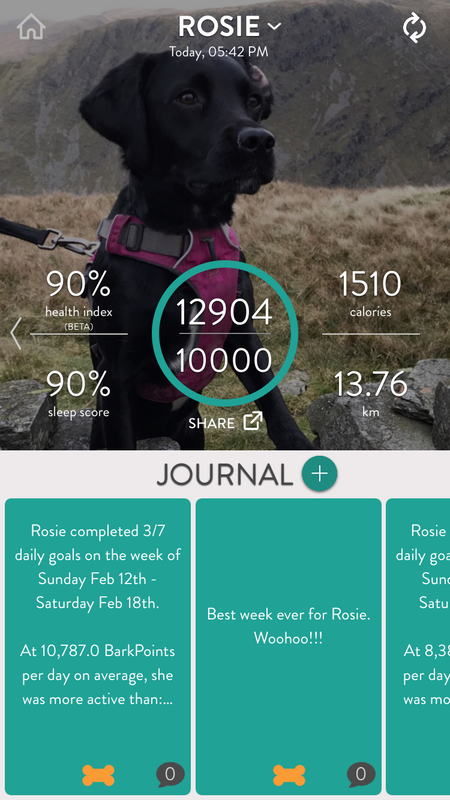 Human Activity – you can link your own activity tracker to the app – I’ve linked info from my Apple Watch/Phone Health app which allows you to view a graph of your own activity compared to your dogs, though I’ve yet to beat Rosie over a week. Add other dogs to your ‘pack’ – you can also, with other owners consent, add other ‘friends’ (dogs) to your ‘pack’ so you can compare activity and view ‘Top Dog’. The FitBark website provides useful explanations on each of the metrics and how the date can be used and interpreted. What is interesting is how Fitbark are looking to use and learn from the data (e.g. did you know Switzerland has the most active dogs in the world) and also seek to enable new ways of sharing/accessing the data. For example you could allow access to your dogs data by your vet to allow them to better assess how your dog is recovering from an illness or surgery. So far we’ve been impressed by the FitBark. Its decent battery-life and faultless syncing make it easy to use. It appears robust and even survived a dunking in the local pond – the rubber grommet protecting the charging port had been open so it stopped working for 24 hours until it had dried out (tip.. cover in uncooked rice). The FitBark app is great – easy to use, a good use of visuals and more detailed metrics if you wish to drill down. Some of the screen navigation is not so obvious, but after a few taps or swipes sees you soon getting the hang of how and where you can drill down to other screens. We find ourselves constantly checking how many points Rosie is collecting during the day, how she’s sleeping or if she going to break her record. On a practical note it’s allowed us to see how active Rosie is when she’s at doggy day-care, which she goes to three times a week. I’m sure that knowing she’s monitored the club make an extra effort with her. Rosie has also developed a habit of playing and sometimes chewing cushions when she’s left alone. 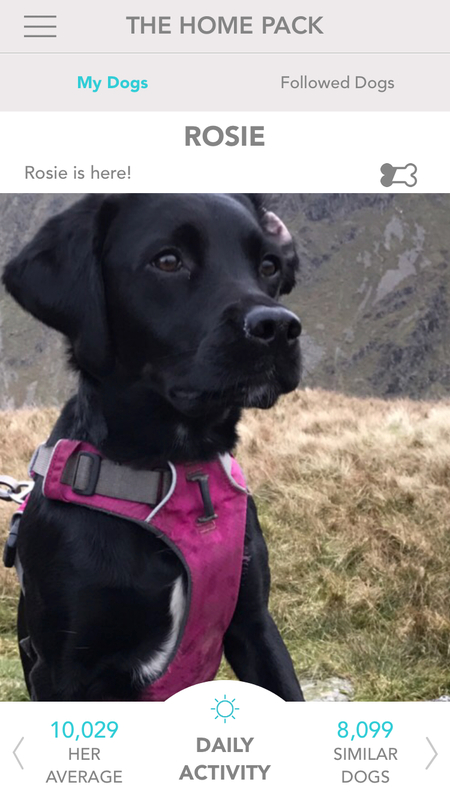 The FitBark app has allowed us to check how quickly she settles when we’re not there – we were concerned she was particularly anxious and unsettled, but it appears she seems to settle down after 10-15 minutes until we come home. So if like me you’re barking and are interested in gaining more insight into your dogs activity and behaviour, or just want to have some fun competing with your canine-friend for activity points, I can highly recommend the FitBark. Disclaimer: I have no affiliation with FitBark and I purchased the device myself at the full retail price.